This satin-soft serum from Caudalie is scientifically proven to lighten dark spots in just 4 weeks. 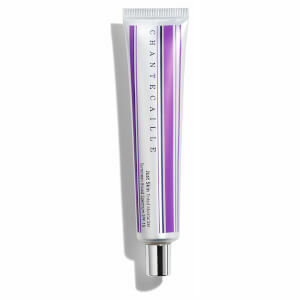 Vinoperfect Radiance Serum Complexion Correcting will brighten and renew your skin leaving it truly radiant. 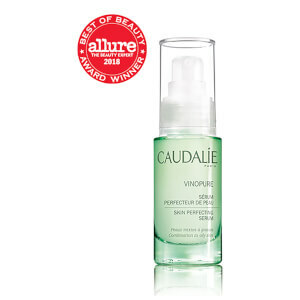 Caudalie Vinoperfect Radiance Serum Complexion Correcting will correct existing dark spots and prevent the appearance of new ones. Perfect to use in combination with your sunscreen, this serum will encourage an even, longer lasting tan and is heralded as Caudalie’s summer hero product. This silky serum provides anti-oxidant and anti-ageing action by stimulating collagen and elastin production. 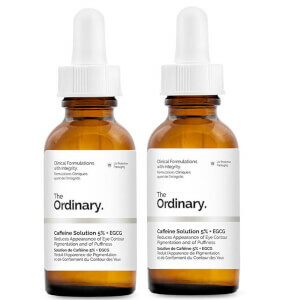 This incredible serum is ideal for smokers, scar marks, sun-derived or age-related dark spots or pregnancy marks and will give your skin a more unified appearance, leaving you with a luminous complexion. Use morning and evening before your moisturiser. I have a sensitive skin and I always have allergy after trying radiance serum. But not this time. Great product! whiting product. smell good. feel comfortable and smooth. after using one week will see more white than before. at the same time, it can help you make you intense lightening complex. heard about it for a long time and finally bought one. Love it! Because it is mixed with sensitive skin Never try whitening pale spot before class products, for fear of allergy. See the seti is a pure natural extract, bought a bottle of mentality, try using down to feel good absorption, no allergy, more like that of the natural light smell, then decided it. This is the best serum I have used so far! I have combination skin, and I normally use this serum after SKII facial essence. Miracle happened within a week! Not only have my pigmentations been much lightened, my whole face has been lightened up! It is a whole new complexion, and it does not pale the skin tone. Now my skin just looks glowy and healthy, like it's with thin foundation and natural highlights. I would strongly recommend this product! I always have problem with my sensitive skin when trying some other whitening product, but this product never cause any break out or allergic problem. I have used this serum for Almost 4 years. It is very good for my skin. I have sensitiv and dry skin. I tried another serum from Caudalie but that didn't work. This is good for all skin types. I received this as a tester in the lookfantastic beauty box. It is absolutely magical - it tightens the skin without making me feel uncomfortable it evens out the skin tone, makes application of makeup easier. I read one review which mentioned that it helped them with psoriasis. I had an itchy eyelid which I was treating with the Simple cream without much success. I've put this on a few times and it's definitely getting better. I have ordered other things from the brand, I'm so impressed. You only need a small bit to make it work so it will last a long time, no doubt. A fabulous serum, and I've tried quite a few. My skin is inclined to redness and blotchiness, and can feel dry and tight at times. This goes on evenly and is quickly absorbed. Using it underneath my favourite moisturiser leaves my skin calm and clear, a smooth canvas for make-up if I want it. I will definitely be buying it again.